Pulling out of the Paris agreement on climate change will become one of the greatest economic blunders by a U.S. president in our lifetimes. People can disagree about the scientific premise behind climate change, but it’s an inescapable fact that the world is driving ahead to replace carbon energy with clean energy anyway. That makes advanced energy technologies one of the biggest business opportunities of the next couple of decades. The companies and nations that take the lead will become the next economic superpowers. President Trump said that he is pulling out of the agreement because it would cost American jobs. 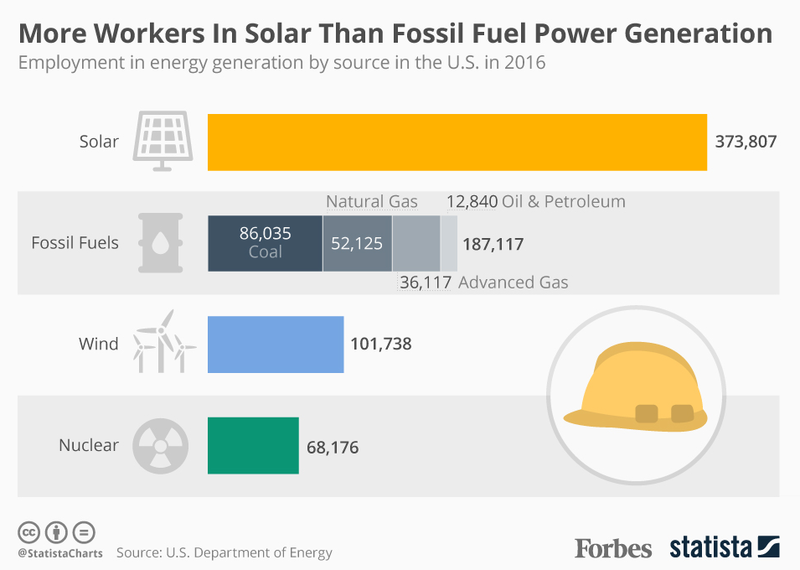 But while he might save a relatively small number of coal and oil jobs, he is harming the nation’s chances to create vast numbers of advanced energy jobs. Many coal and oil jobs are eventually doomed anyway — those industries have a limited future as the world leaves carbon behind. Advanced energy jobs will multiply year after year. If the U.S. doesn’t capture that work, other nations will. Companies gain market leadership because they thrive on local markets first and then become global. This is what happened in China with solar panel manufacturing — the government spent heavily to create a local market for the technology. It pumped $89.5 billion into the industry in 2015 alone, and in January 2017 its National Energy Administration announced it would spend $360 billion through 2020 on renewable energy. As Chinese companies have perfected the process and scaled up manufacturing, they were in position to dominate solar panels around the world. Today the three biggest solar makers are based in China: Trina Solar, JinkoSolar and JA Solar. If ending our participation in the Paris Accord slows the U.S. advanced energy market, our American companies will be at a huge competitive disadvantage globally. They won’t have a robust local market to build on. Before long, we will find ourselves buying energy technology from other countries, just as other countries now soak up our digital tech products. Worse, the damage can go beyond energy to all U.S. industry. New energy sources aren’t getting adopted just because they might stave off climate change — they’re getting adopted because they are becoming cheaper than carbon-based energy. Solar is on a trajectory that echoes Moore’s Law, which explained why computers got twice as powerful for the same price every 18 months for decades. 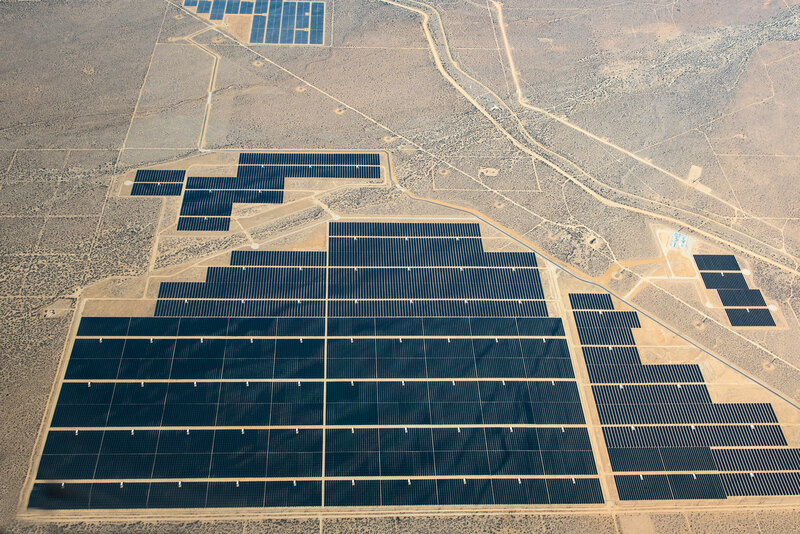 The cost of solar has dropped 95 percent since the 1980s while efficiency has rocketed. And solar farms, with acres of solar panels laid out in a sunny climate, can be the most efficient of all. With today’s technology, solar panels covering just a few counties in Texas could supply all the electricity needed for the entire United States. In May, California on some days generated 80 percent of the total power used in the state with renewable sources — because it has become cheaper than carbon. So if the U.S. falls behind in advanced energy and our companies instead rely on carbon, eventually U.S. business will be operating at a higher cost than competitors around the world that rely on clean sources. Competing nations already know that Trump’s actions spell opportunity. Chinese premier Li Keqiang, visiting Germany, said his country would remain committed to combating climate change. At least U.S. companies have pushed ahead despite the Trump Administration’s rhetoric. Walmart, which installs solar panels on the rooftops of its stores, announced it intends to operate on 100 percent solar, and Google, which in 2016 consumed as much energy as the whole city of San Francisco, said that by the end of 2017 all its data centers globally will run entirely on renewable energy. The best news about Trump’s action is that it will take four years to get out of the Paris Accord, so the final decision would land about the time of the next presidential election. Between now and then, U.S. industry has to send a clear message: our economic future lies in leading the world away from carbon. Otherwise, we will surely wind up as followers.